QComp applies innovative robot designs to solve your packaging challenges. 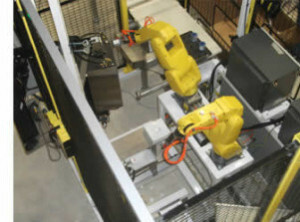 Our Packaging Robot systems included assembly, label application, RFID tags, vision inspection, carton and case packing. QComp's automation solutions are customer focused, and we leverage our experience to provide the most cost effective and reliable solution.